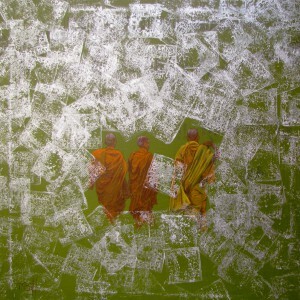 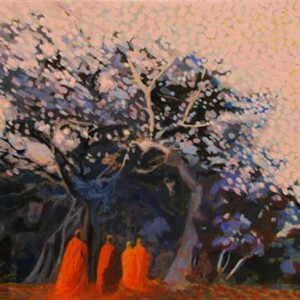 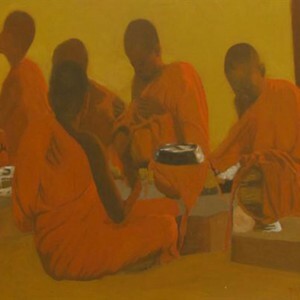 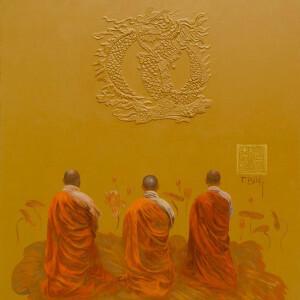 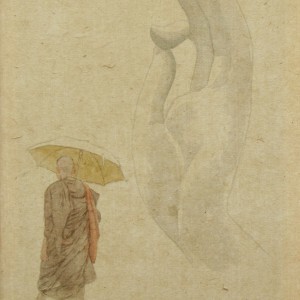 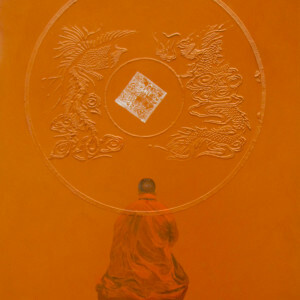 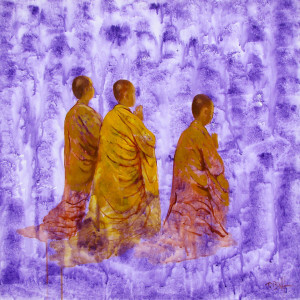 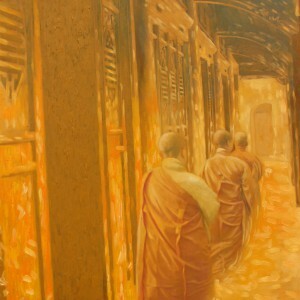 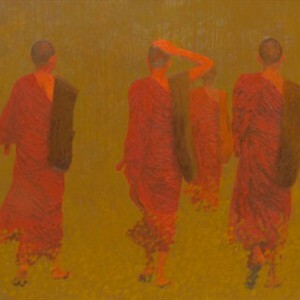 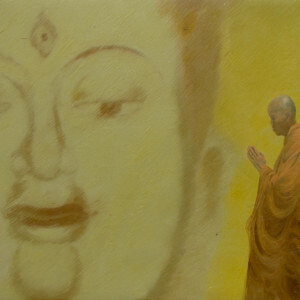 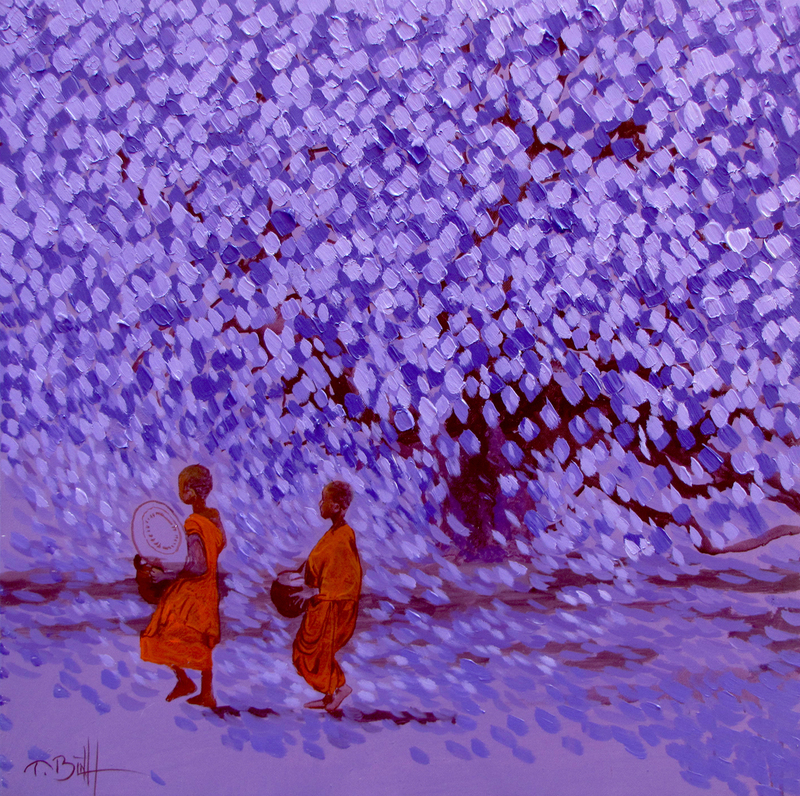 Young Monks by Vu Thai Binh, is a fine illustration of contemporary Asian art. 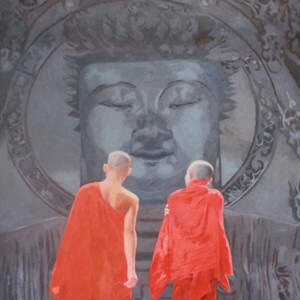 This beautiful composition shows two young monks steadily progressing on their paths of spiritual enlightenment without ever flinching from their rigorous lives. 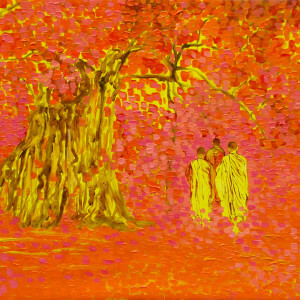 Their little figures clad in saffron symbolizing their renunciation of material life are juxtaposed against a wave like wall of lilac and white blossoms. 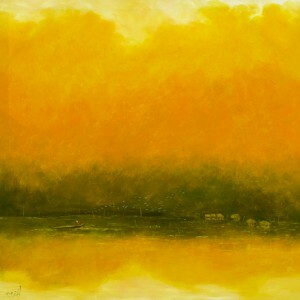 A very evocative piece!